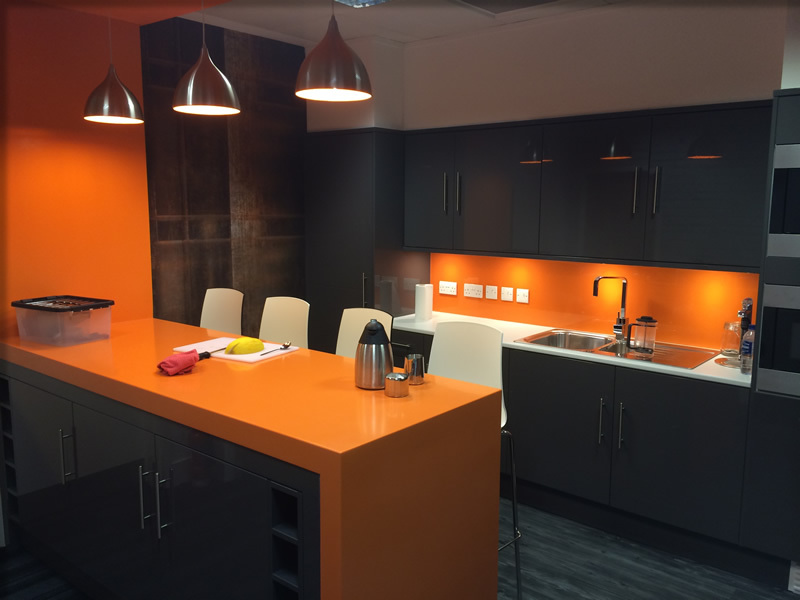 Works entailed forming of Meeting Rooms, Private Offices, New Kitchen and Break Out Areas. 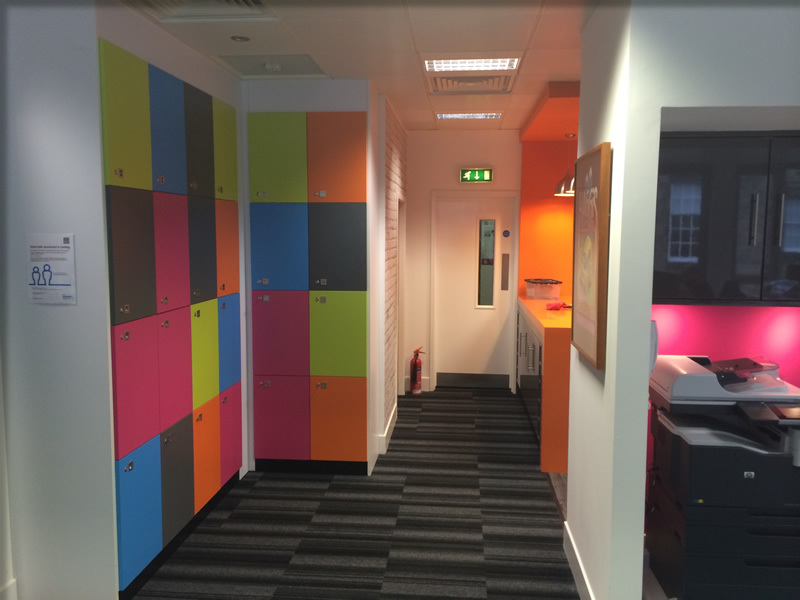 A mixture of glazed and soundproof partitions were used along with Bespoke Joinery forming new Storage Wall, Locker Areas and Cloud Feature. 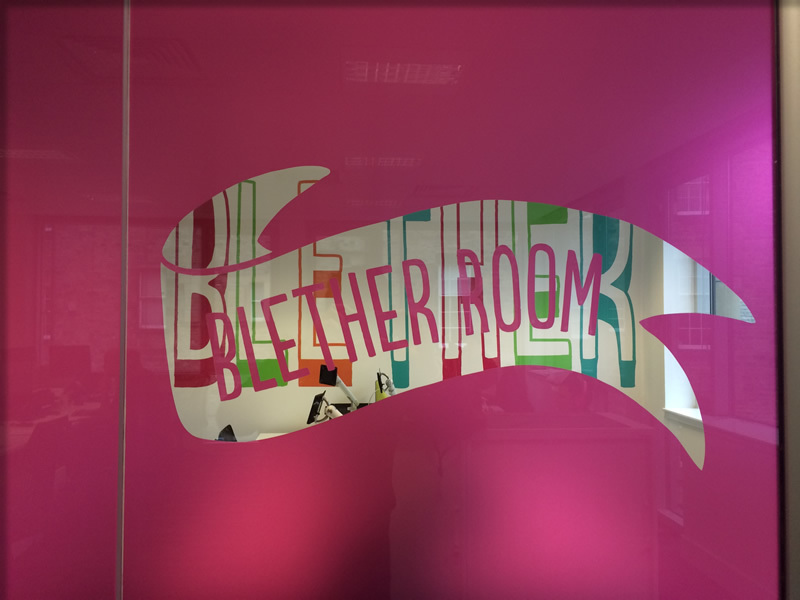 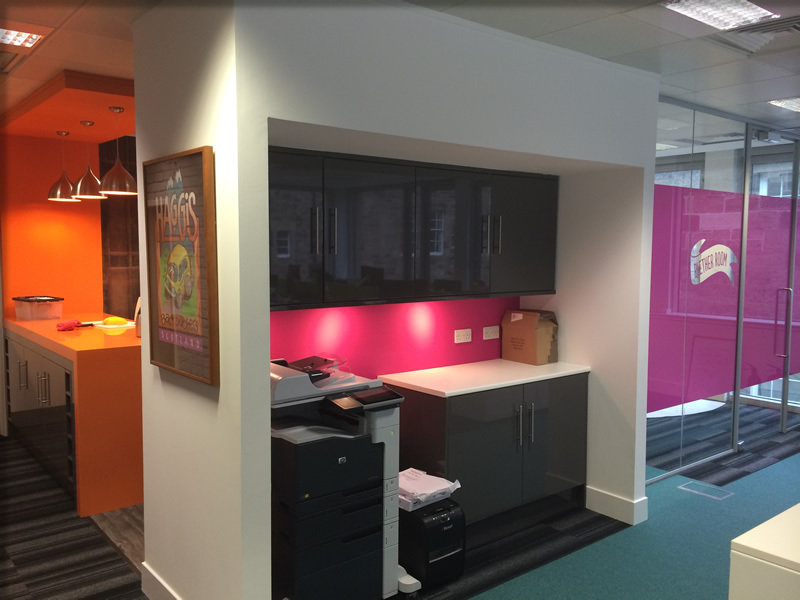 Full Decoration and flooring throughout including Digital Wall coverings. 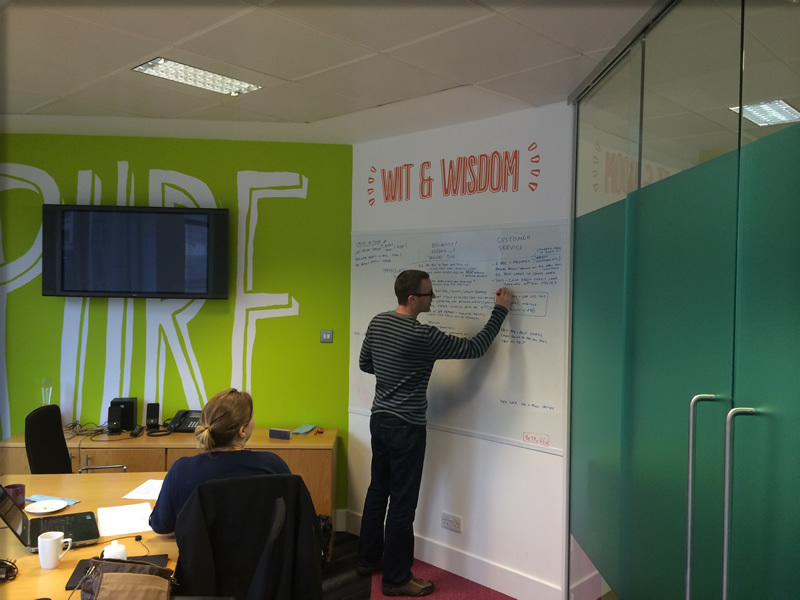 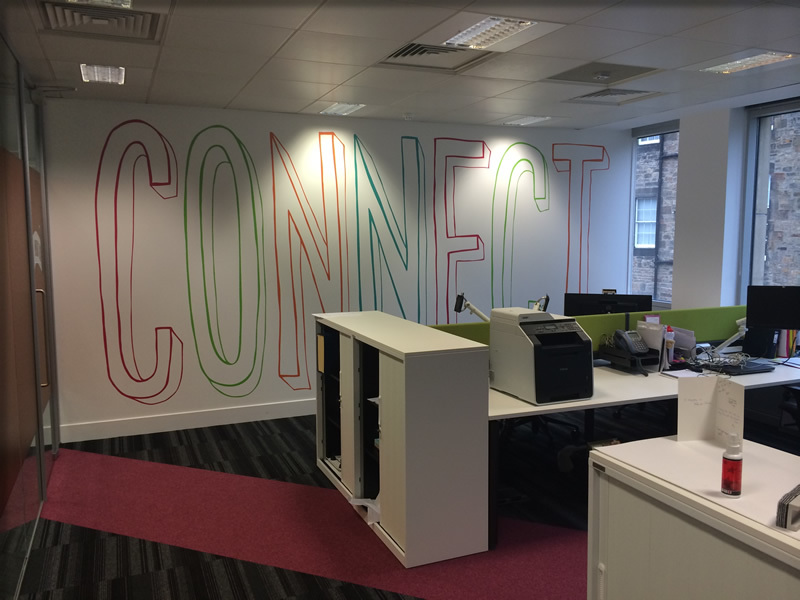 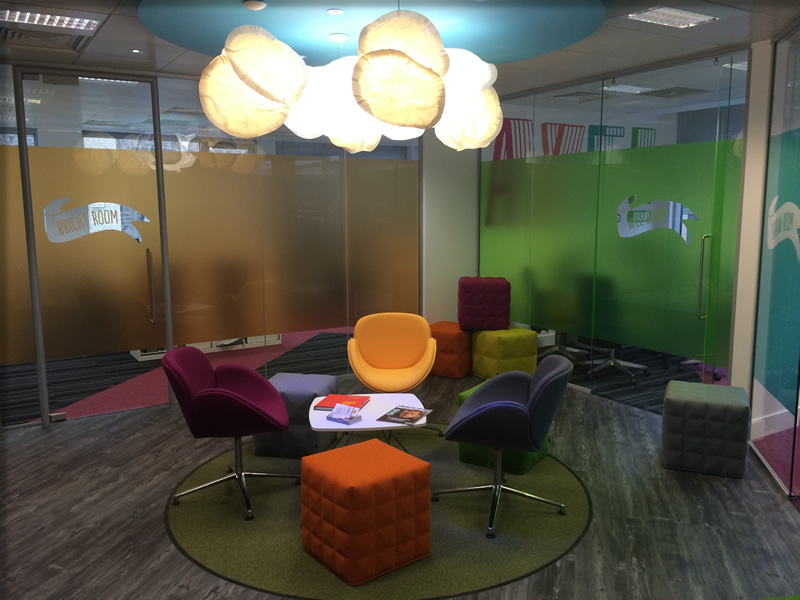 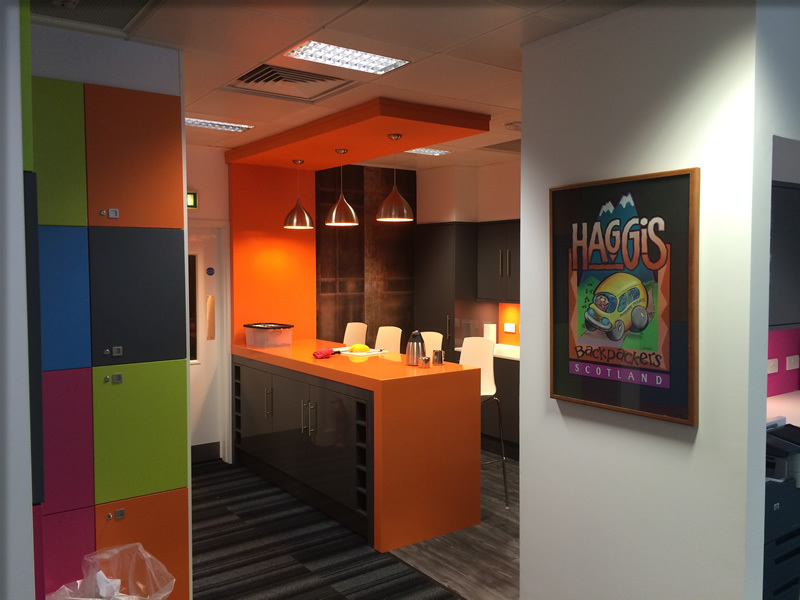 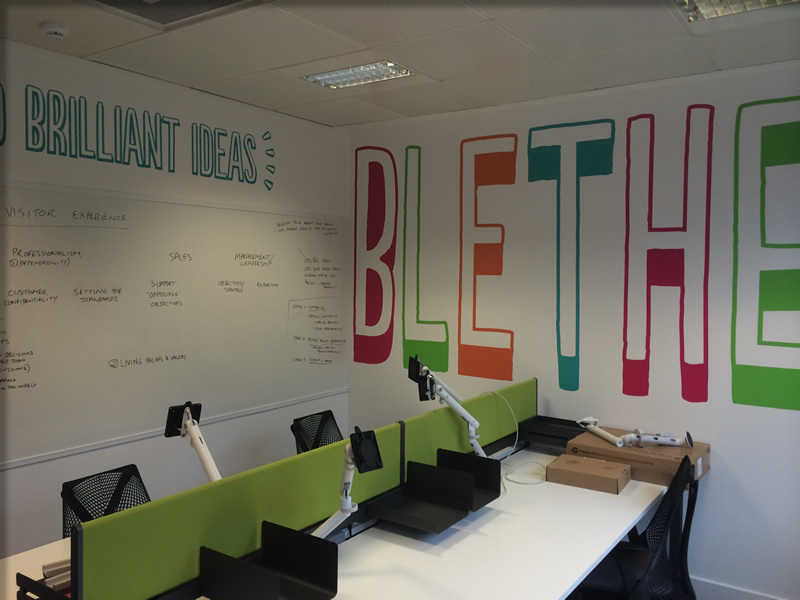 Office Design and Fit-Out for Radical Travel in Edinburgh from Scotwood Interiors.